Isagenix Whey Thins | Now Available in Australia - Order Yours Today! Guilt-Free Snacking: Satisfy your cravings and keep your weight-loss goals on track with low-carb, high-protein Whey Thins. 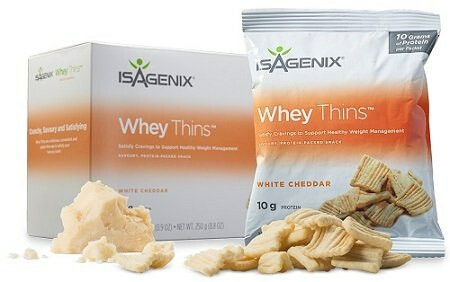 Enjoy the cheesy cheddar crunch of Isagenix Whey Thins, a savoury snack that’s positively packed with protein. Keep yourself feeling full between meals so that you don’t give into cravings. Whey Thins help to keep your hunger under control so that you aren’t tempted to stray from your diet. It can be difficult to consume enough protein while on a calorie-restricted diet, but luckily, Whey Thins make it easy to get the protein that you need to maintain strong muscles without putting on any extra weight. Each individually packaged 100 calorie serving is packed with 10 grams of high-quality, undenatured whey protein and contains absolutely zero trans fats. All that protein not only maintains lean muscle, but it can also keep your hunger in check while dieting. Whey Thins satisfy cravings without packing on the calories, helping you to follow your diet and reach your weight loss goals faster. Whey Thins include plenty of protein to help you build and maintain strong muscles. Protein also helps to curb cravings, making it easy to avoid overeating during the day. Contains no soy or gluten, making them the ideal snack for those with dietary restrictions and food allergies. Each 100-calorie packet contains no trans fats, which can lead to high cholesterol, heart disease, and more. Every serving provides a portion of your daily recommended intake of calcium, which is essential for building strong bones. Calcium also helps to regulate muscle contractions, making it an important factor in heart health. Whey Thins are approved for cleanse days, so you can enjoy them as a healthy snack even as you cleanse. Why should I include protein in my diet? Protein isn’t just essential for bodybuilders. Everyone, from toddlers to pensioners, needs to include plenty of protein in their diet to promote the growth of lean, strong muscle. Protein in your food can also help to keep you feeling fuller for longer so that you aren’t tempted to snack between lunch and dinner. How much protein should I be eating each day? Approximately 1 gram of protein per kilogram of body weight for pregnant and breastfeeding women, and for men and women over 70 years of age. 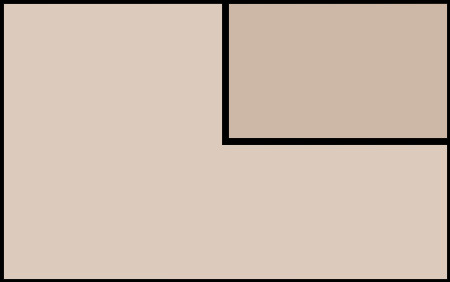 The needs of children and adolescents also vary according to their age and weight. When you most need an energy boost, take up to two servings each day. If you are following the 9 or 30-day fat burning and cleansing program, this product can be taken on Cleanse Days and used alongside Ionix Supreme. Whey Thins are a healthy snack that can keep you satiated between meals. Instead of reaching for a packet of crisps, which often contain empty calories and high levels of saturated fats, you can reach for a healthy helping this tasty snack. Indulge in this delicious, healthy, high-protein and low-calorie snack.